Crew members of the Kleiner Kreutzer SMS EMDEN whilst stationed in Tsing-tau,China in 1914. The very ship ,which became a feared raider of the high seas, until finally being destroyed by HMAS SYDNEY,during an ferocious engagement at the Keeling Islands in November 1914. German Jewish soldiers of the Prussian Landwehr -Infanterie-Regiment Nr.8. 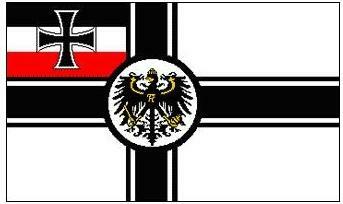 This Prussian Regiment was originally made up of mostly middle aged Reservists,when formed in Frankfurt a.O. in early August 1914. The Regiment saw limited but continued action on the Eastern Front,until being send to the Western Front following Russia's withdrawal from the conflict. Our members are focusing on late 1914 when the Regiment was being deployed in Poland. While the submarine was stationed in Brest ,occupied France,as part of the 7th U-Boot Flotilla in 1942. Our current activities include guard duties and shore patrol.